​The New Orleans Saints offense took a bit of a hit after losing​ tight end Ben Watson to retirement. Yet, they appear to be on the verge of hiring a potentially huge weapon to their offense. 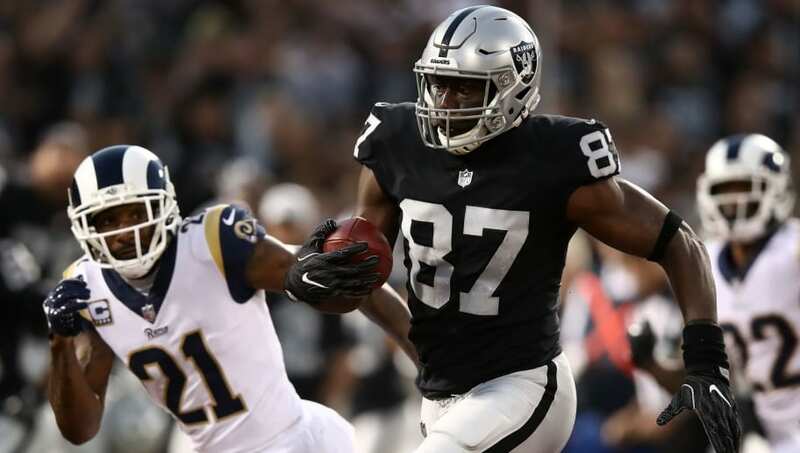 According to Mike Florio of ProFootballTalk, the Saints are close to finalizing a deal with former Oakland Raiders​ tight end Jared Cook. Per source Saints are close to deal with TE Jared Cook. ​​Cook's NFL value soared back in 2016 while as a member of the Green Bay Packers. While his regular season numbers were far from prolific, it was his huge toe-drag catch in the NFC Divisional Round against the Dallas Cowboys in overtime to give the "Cheeseheads" the huge win. After the team signed Jimmy Graham, Cook signed on with the Oakland Raiders. This past season under head coach Jon Gruden was the best of his career. Cook played in all 16 games, where he caught 68 passes for 896 yards and six touchdowns, all career-highs. He earned a trip to the Pro Bowl for it. Those numbers came with quarterback Derek Carr throwing him the ball. Imagine the numbers Cook could potentially produce with Drew Brees and the New Orleans Saints.